The former space of Reunion nightclub in the El Dorado Hills Town Center will not return as a restaurant or club, but rather as office space. The Mansour Co. plans to convert the 6,700-square-foot space into two offices overlooking the water feature in the center. Office leasing in the Town Center has been very strong, said Tony Mansour, founder of the company, and he is able to charge what Mansour calls downtown Sacramento lease rates for access to the amenities of the center. 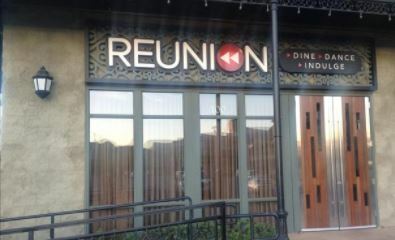 The Reunion venue closed in 2015. Mansour has already tentatively leased the two ground-floor office spaces in the three-story “New Orleans” building to two real estate-related offices, said Louis Mansour, Tony’s son and a member of the Town Center’s management team. The tenant leases should be finalized soon, and the space should be available by the end of the year, he said. He declined to name the tenants until the leases are final. The building takes its New Orleans moniker for its balconies with metal railings. The upper two floors of the building are office space. The new ground-floor office is next to Selland’s Market Cafe. Having more office space also puts more workers in the center during the day and that helps support the retailers in the center, including more than 24 restaurants, said Tony Mansour.